It’s the biggest sporting event of the year, with 32 teams competing for the coveted World Cup trophy. But there can only be one winner and, according to EA Sports, that winner will be… France. The games developer has a close tie with the World Cup. Its big 2018 FIFA World Cup mode is available now for FIFA 18, and essentially adds a whole new game within the core game. 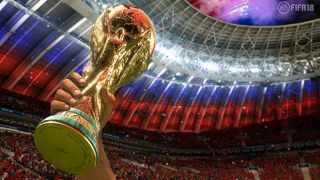 Using all the data it has amassed from the player and team rankings in the 2018 FIFA World Cup update, as well as the data it has from FIFA 18, EA Sports ran a simulation of the tournament, and France were the eventual winners, defeating Germany in the final. France’s Antoine Griezmann also tied for the Golden Boot, awarded to the top scorer in the tournament, with Spain’s Isco. EA Sports actually has a great track record with its World Cup predictions. In 2014 it correctly predicted that Germany would win the tournament in Brazil (despite a European team never having won a World Cup on South American soil), and it successfully tipped Spain to win the 2010 World Cup. Germany and Brazil are currently joint favorites to lift the cup with most bookmakers, with France and Spain close behind. EA Sports has made its own predictor available to play online, so you can have a go to see if your results are the same – anything has got to better than relying on Paul the Octopus.